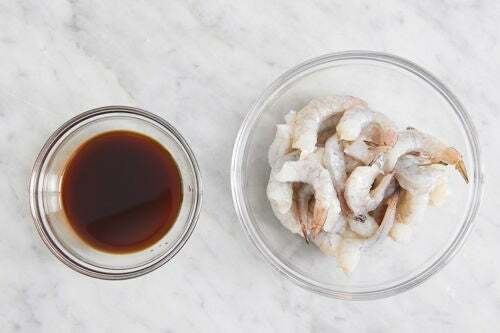 Our take on this Japanese-American favorite highlights the sweet and savory sauce we’re using to glaze plump shrimp, made with traditional ingredients like soy sauce, vinegar, and more. Remove the honey from the refrigerator to bring to room temperature. 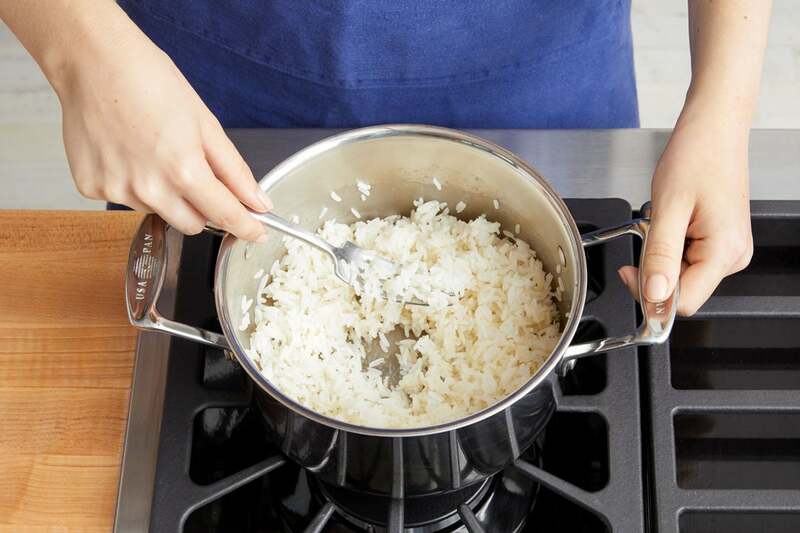 In a small pot, combine the rice and 1 cup of water. Heat to boiling on high. Once boiling, reduce the heat to low. Cover and cook, without stirring, 12 to 14 minutes, or until the water has been absorbed and the rice is tender. Turn off the heat and fluff with a fork. While the rice cooks, pat the shrimp dry with paper towels; remove the tails. 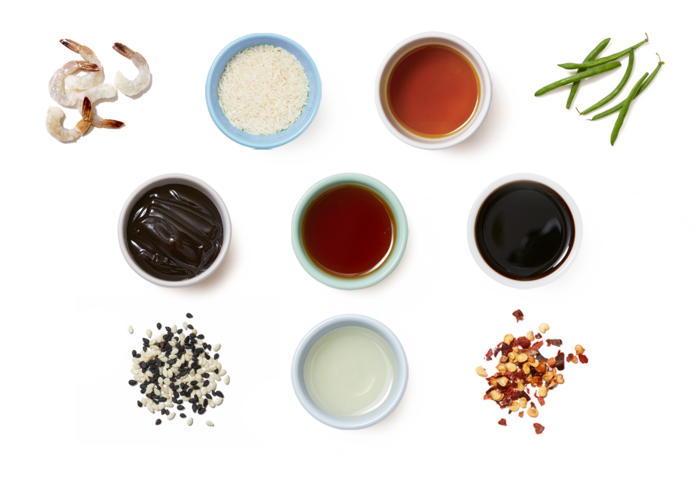 In a bowl, whisk together the soy sauce, soy glaze, vinegar, and honey (kneading the packet before opening). While the rice continues to cook, wash and dry the green beans. In a medium pan (nonstick, if you have one), heat half the sesame oil on medium-high until hot. 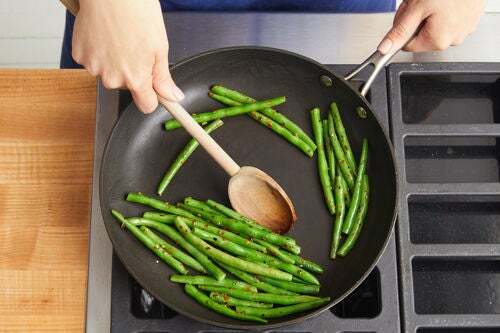 Add the green beans; season with salt, pepper, and as much of the red pepper flakes as you’d like, depending on how spicy you’d like the dish to be. Cook, stirring occasionally, 3 to 4 minutes, or until slightly softened. Add 2 tablespoons of water (carefully, as the liquid may splatter). Cook, stirring occasionally, 1 to 2 minutes, or until the green beans are softened and the water has cooked off. 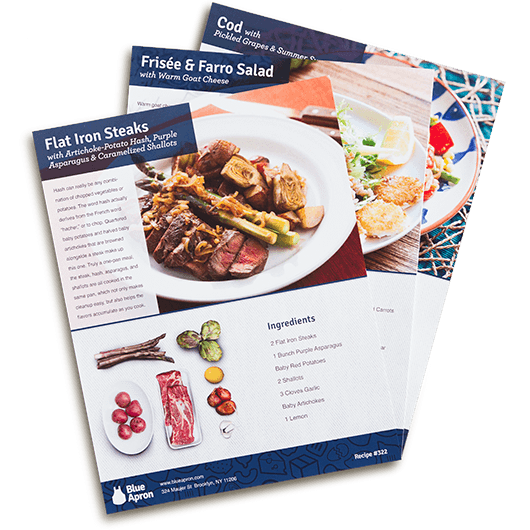 Transfer to a plate. Taste, then season with salt and pepper if desired. Cover with foil to keep warm. Wipe out the pan. In the same pan, heat the remaining sesame oil on medium-high until hot. Add the shrimp in an even layer. 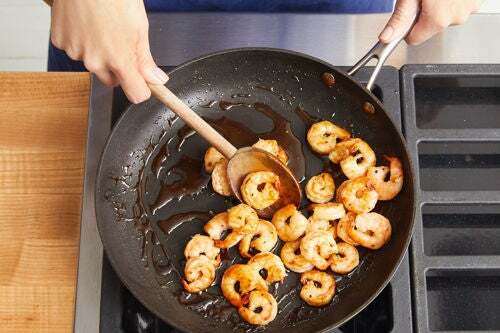 Cook, without stirring, 1 to 2 minutes, or until the shrimp are slightly opaque. Add the sauce (carefully, as the liquid may splatter). Cook, stirring frequently, 1 to 2 minutes, or until the shrimp are coated and cooked through. Turn off the heat. 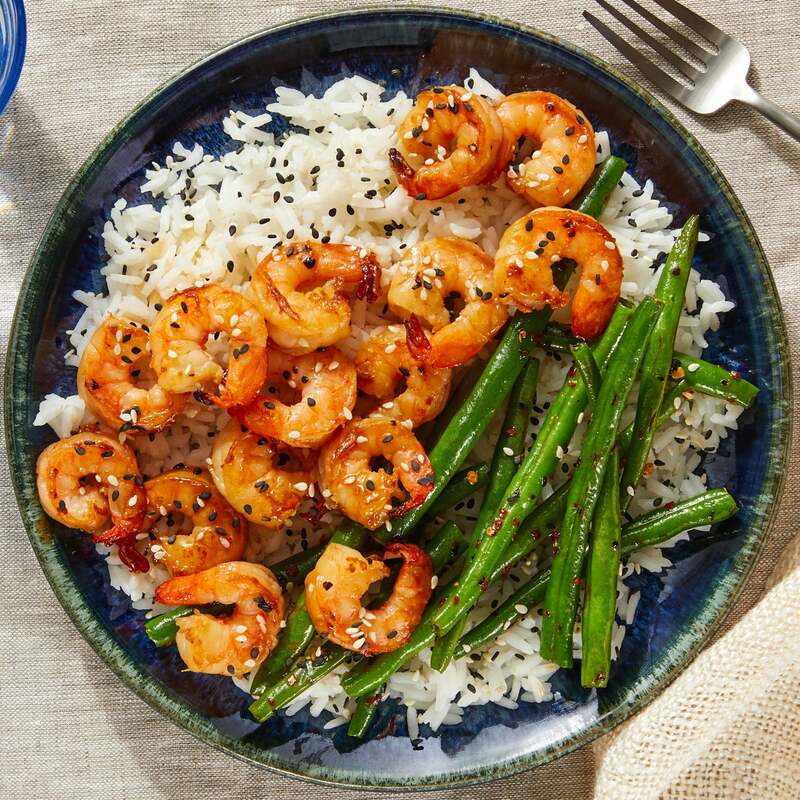 Serve the cooked rice topped with the cooked shrimp (including any sauce from the pan) and cooked green beans. 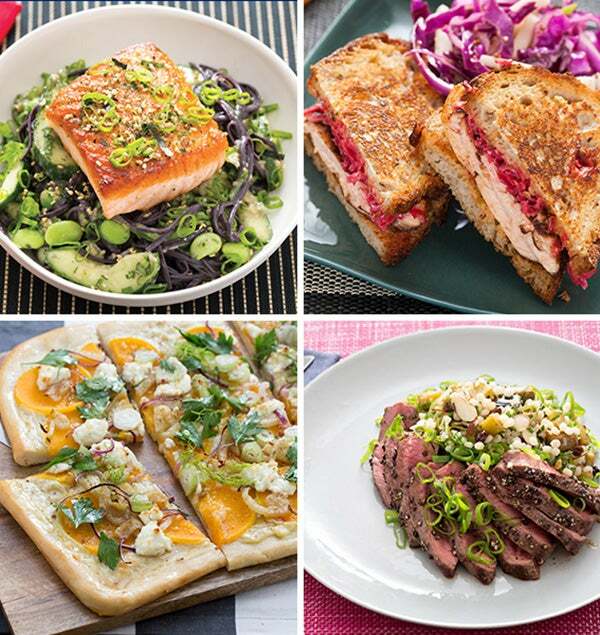 Garnish with the sesame seeds. Enjoy!